Secure Data Wiper software is an effective and most advance data eraser utility for home and office users to completely wipe all deleted and unused files and folders from Windows hard disk drive and removable USB flash storage media devices. 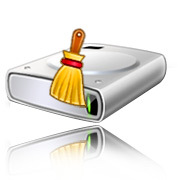 The software permanently wipes and removes traces of internet files including (temporary internet files, cookies, history, typed URL’s), system files (administrator’s files, clipboard content) and deleted Microsoft application files (Power Point, Access, Excel, Paint, Notepad, Microsoft word, WordPad, Window Media Player files, Management Console files etc). Wipes deleted records of your internet online and offline activities including (temporary internet files, cookies, history, typed URL’s). Fully capable to wipe most recently used application files such as power point, excel sheet, Microsoft doc file, access database records etc. Completely wipes traces of deleted system files, clipboard content, recent documents and network folders, recycle bin, windows event logs. The utility wipes unused disk space, which improves the overall speed and efficiency of your computer system. 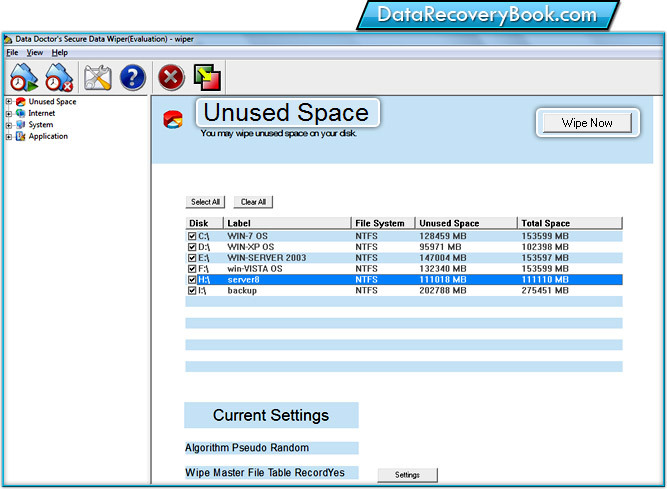 Permanently wipes entire disk in destructive mode by using secure wiping algorithms. Easily used software wipes unused cluster, which are not currently linked to any file system. Reliable and user friendly GUI interface supported software does not require any technical skills to operate the data-wiping program.